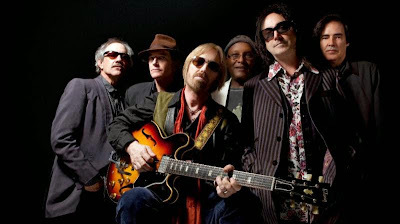 Tom Petty and the Heartbreakers kicked off their “Hypnotic Eye” North American tour in San Diego, California on Sunday and fan-filmed video from the show is available. Opening night at the Viejas Arena presented music from Petty’s extensive catalog as well as covers of tunes by The Traveling Wilburys and Little Feat. “Hypnotic Eye” - the follow-up to 2010’s “Mojo” – is Petty’s first new studio album in four years. The project is now available in CD, digital, high resolution Blu-ray audio and vinyl formats. Petty and opener Steve Winwood will play shows across North America for the next two months, wrapping things up at The Forum in Los Angeles on October 10.